Recording arts in the US is a hands-on, fast-paced, and vastly interconnected business where technological skills, communication skills, and creativity are constantly in demand. With Hollywood, New York, Silicon Valley, and other entertainment centers like Orlando, Florida, there are thousands of opportunities in the US for real-world training in state-of-the-art production studios. To study recording arts is to open your world to a wealth of opportunities in music, film, TV, and video games. Whether you're dancing to the newest hit from an international pop star, enchanted by a 3D film at the cinema, or focused in as you strategize your next move in a multiplayer video game, you're engaged with the beats, melodies, and sound effects coming at you from all angles. But pop hits don't just emerge out of thin air and sound effects aren't just part of the scenery. The use of sound in all its multimedia formats makes up the recording arts. Recording arts in the US is a massive and dynamic industry and to study recording arts would be a chance to work on award-winning records or be a part of internationally renown video games, just to name a couple of opportunities. Recording arts covers a variety of media formats, including music, live performance, music video, film, TV, professional presentations, corporate marketing, video games, and just about any other use of audio geared toward entertainment. When you study recording arts you will learn things like optimum microphone placement, the ins and outs of post-production audio, and the important elements of live sound. Recording arts in the US is a hands-on, fast-paced, and vastly interconnected business where technological skills, communication skills, and creativity are constantly in demand. The US is an entertainment hub for the world. With Hollywood, New York, Silicon Valley, and other entertainment centers like Orlando, Florida, there are thousands of opportunities for real-world training in or around state-of-the-art music production studios. Media production is a big area of growth in the US since all sorts of individuals and companies want to stay fresh as technology changes. Several schools in the US offer Associate of Science, Bachelor of Science, Bachelor of Arts, and Master of Arts degrees in the recording arts, in addition to smaller certificate programs alongside related majors. 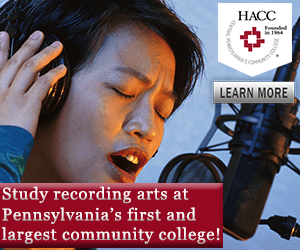 International students can study recording arts with more specialized institutions like The Peabody Institute of The Johns Hopkins University or can choose a more traditional schools like Indiana University and Ithaca College. For international students most of these schools have the same entrance requirements as other undergraduate degrees. Schools do, however, suggest that incoming students have a background in music, such as being a musician or being familiar with music theory, and technology. The institutions also point out that good interpersonal communication skills and creativity are a plus. The typical recording arts degree program is very hands-on and focuses on "lab" work. In these labs, though, your apparatus is often an expansive soundboard and your end product is not a chemical compound, but a sonic creation. Throughout recording arts degree programs the courses are heavy on technology, heavy on math, and heavy on certain aspects of physics. The first couple years of a program involve foundational courses like the physics of sound, acoustics, and music theory. As you progress you will take more specialized courses like audio production, recording software, and studio operations. Alongside these essential courses, most recording arts programs require contextual courses such as music history and music marketing. In addition to basic coursework, you will also work with active production projects, starting out as an assistant and working your way up to lead engineer positions. Most degree programs culminate with some sort of senior assignment that allows students to apply their knowledge and creativity to their own project. With the variety of media covered in the recording arts, international students face a similar variety of career opportunities. A degree in recording arts in the US opens the door to jobs in production, post-production, technical fields, archiving, and the general music business. Don't think that the recording arts are just for people looking to get into the music business. Production jobs can be found in radio stations, TV stations, amusement parks, and within many large corporations. Post-production jobs, such as mixing or remixing various media material, are just as diverse. For students more interested in the technical aspects of the recording arts, there are careers as an audio-visual equipment technician or assembler, a broadcast technician, an electronic technician, or a sound engineering technician. For students more interested in archival work, there are recording arts careers in management of audio-visual multimedia collections in museums, universities, libraries, and music centers all over the world. Finally, a recording arts degree gives international students a foot in the door into just about every part of the international music business, ranging from sales to manufacturing, and from advertising to performance. To study recording arts is to open your world to a wealth of opportunities where you can combine your creative passions and your technical expertise into a fulfilling career in a dynamic industry. Visit the Study in the USA School search to find schools that offer programs of study in Recording Arts. Over time we will be updating this section and including more information for those who want to study recording arts in the USA and for other countries, but please feel free to post your thoughts and comments on our Facebook fan page, and also follow us and post questions through Twitter.